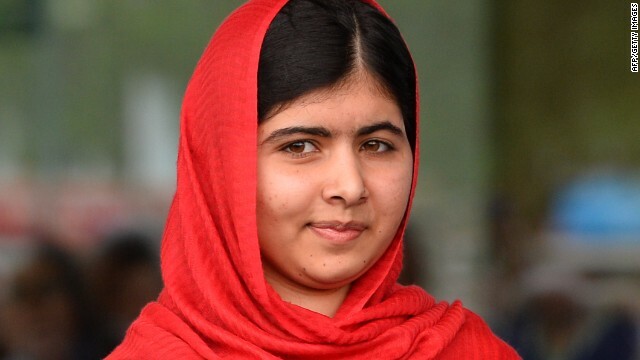 The world risks losing a generation of Syrian children if it ignores their plight, Malala Yousafzai – the Pakistani girl who made a miraculous recovery after being shot in the head by the Taliban – told CNN on Tuesday. “It’s a risk to all of us if we ignore them,” Malala, as she is known to her legions of followers, said. Malala visited on Tuesday travelled to the Zaatari Refugee Camp in Jordan to meet with the young victims of Syria’s grinding war. She spoke from there with CNN’s Hala Gorani, filling in for Christiane Amanpour. “So many children, they can’t go to school, they cannot get education,” Malala said, overlooking the refugee camp. CNN's Christiane Amanpour profiles Malala Yousafzai. How, and why, does the Nobel Committee decide whom to award the Peace Prize? It is a question that arises almost every year in early October. Unlike the science Nobels, which award work on “Higgs Bosons” and “multiscale models for complex chemical systems,” the work that leads to a Peace Prize can be understood by the layman. This year, the Nobel Committee bypassed Malala Yousafzai, the popular favorite to win, awarding instead the Organisation for the Prohibition of Chemical Weapons (OPCW). “We wanted to give a signal to the world that now we have the possibility to do away with a whole category of weapons of mass destruction,” Thorbjorn Jagland, chairman of the Nobel Committee, told CNN’s Christiane Amanpour on Tuesday. Malala Yousafzai talks to CNN's Christiane Amanpour about the Nobel Peace Prize. Malala Yousafzai describes her shooting to CNN's Christiane Amanpour. Malala Yousafzai tells CNN's Christiane Amanpour that she wants to be Pakistani prime minister. 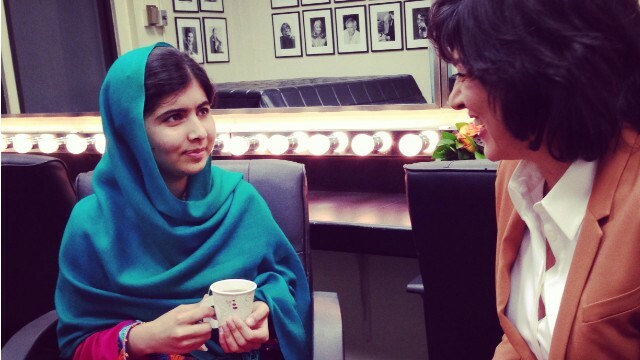 CNN's Christiane Amanpour speaks with Malala Yousafzai about how she will react to a Nobel Peace Prize win. Christiane Amanpour interviews "The Bravest Girl in the World"
All she wanted was to go to school. The Taliban told 15-year-old Malala Yousafzai that she could not, threatened her, but still, she went. Because she refused to be intimidated, the Taliban shot her in the head. Miraculously, Malala Yousafzai survived the assassination attempt. Now, at 16, Malala is a formidable force in the fight to educate girls – still just a girl herself, she is speaking truth to power all over the world to get her message out. CNN Chief International Correspondent Christiane Amanpour will speak with Malala, in an event broadcast around the world, in front of a live townhall audience in New York. On stage with them will be Malala’s father and dozens of school children passionate about Malala’s cause; among the students will be one lucky winner of a national essay contest, flown to New York to meet Malala in person. Be sure to tune in on Sunday, October 13 at 7pm ET, and see why Malala Yousafzai is The Bravest Girl in the World.